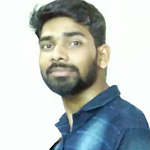 Myself Shivendra Singh, I am a Graphic Designer and I worked with Adobe Illustrator and Adobe Photoshop, Coral Draw. Personally, I believe that quality and perfection requires focus and continued efforts. Don't hesitate to contact me if you need any creative Design. I'm always open for a new exciting project. I work hard to create exceptional visual arts and style for my clients.